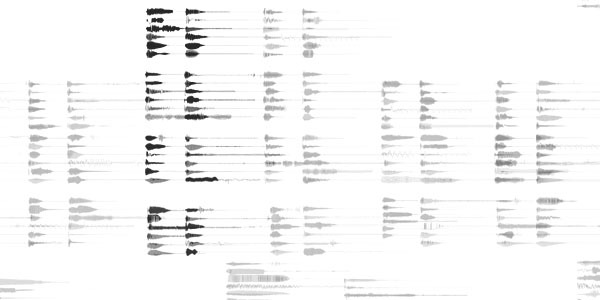 Bicycle Built for 2,000: Crowdsourcing 2,088 Voices to Sing "Daisy Bell"
Bicycle Built For 2,000 [bicyclebuiltfortwothousand.com] is comprised of 2,088 short voice recordings collected via Amazon's Mechanical Turk web service, assembled together to sing the song Daisy Bell. In 1962, the IBM 704 became the first computer to sing, singing the song Daisy Bell. Online workers were prompted to listen to a short sound clip, then record themselves imitating what they heard. Each person was paid $0.06 for their participation via Amazon's Mechanical Turk web service. The work is accompanied by a visual interface that allows the exploration of the large collection of voices. Utilisation tellement absurde du Mechanical Turk d'Amazon que cela mérite d'être relevé!!! quels nouveau type de services/produits de tels systèmes pourraient/pourront engendrer? 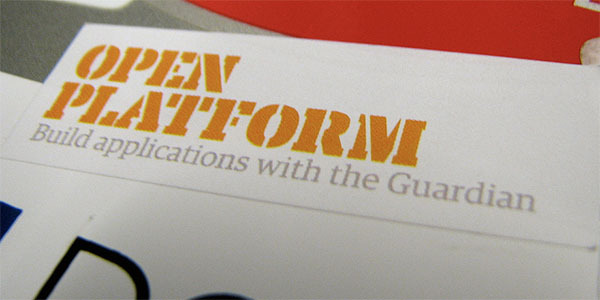 The actual API the Guardian has developed consist of two components: Open Platform and DataStore [guardian.co.uk]. The Open Platform will enable users to weave Guardian material, text, audio, video, and more, in online mash-ups, even commercial. In turn, Data Store offers access to about 80 data collections, which have been put together by the paper's editors. Their topics range from what people eat, over the smoking figures for every country, international suicide rates, or the number of plastic bags imported and exported worldwide. Each Data Store dataset seems to be stored as a Google Spreadsheet, which means developers can access it using Google's Spreadsheets Data API. (Note: for those interested in more publicly available datasets, it might be worth it to also look at the Public Datasets on Amazon Web Services). As a side note, some reports point to the fact of The Guardian shareholder structure making this possible: "It helps that the paper is owned and run by a charitable trust which does not have shareholders who would normally have a heart attack at such a move." Some early application examples include Zemanta's Guardian topic researcher, which searches the database of Guardian articles and then proposes links to related concepts. There is also Content Tagger, an application to provide user-generated tagging on The Guardian content; ApiMaps.org, built by Stamen Design, designed to crowdsource geodata based on Guardian articles; and Cass Sculpture Foundation, which insert lists of articles from the Guardian about its sculptors into their biography and home pages. Even more at Wired, TechCrunch, Editors Weblog. The situation in the newspaper industry is not good. 10 major US newspapers, according to Time, will go out of business or go digital-only very soon. It’s time to change business models, otherwise that last train might go away and never come back. It consists of two parts: the Content API, which lets you freely retrieve data from Guardian’s vast content database (over one million articles), and the Data Store, a collection of stats and data sets curated by Guardian journalists. Therefore, instead of trying to charge you for content that can easily be duplicated ad infinitum, Guardian will let anyone duplicate and use their content and then slap ads on top of everything. Launch partners include The Cass Sculpture Foundation, which is using Open Platform to add Guardian articles about British artists to its site, as well as Stamen and OpenStreetMap, which developed a service that makes use of users geotagging Guardian articles, positioning articles, images and videos on a map. Will it work? It’s too early to tell, but it definitely beats going out of business, and Guardian is showing some guts by embracing new business models instead of clinging on to old, defunct ones. Grande modification de modèle en cours (en prévision) pour la presse... sous la pression des médias en lignes et leur modèle participatifs (open source, "crowdsourcé", etc.). Et ce n'est que le début! The wisdom of crowds, on the other hand, is known to Wikipedians as James Surowiecki’s book by the same name, defined as a phenomenon where “the aggregation of information in groups, [results] in decisions that…are often better than could have been made by any single member of the group.” The quintessential example is that of guessing how many jelly beans are in a jar, where averaging the guesses of many people is more accurate than the guess of one expert individual, and the wisdom of crowds also manifests itself from sports betting to traditional opinion polls. 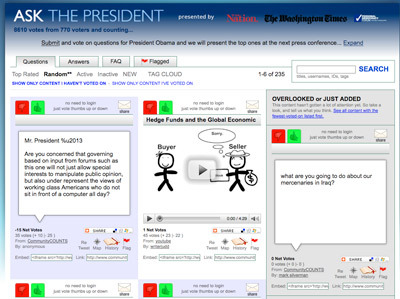 Applications that leverage the wisdom of crowds are necessarily crowdsourced, because they outsource the task of voting, predicting, guessing, or otherwise submitting an opinion to a crowd. On the flipside, crowdsourcing apps do not necessarily leverage the wisdom of crowds; Koblin’s Sheep Market workers weren’t voting on what a sheep facing left should look like, but were merely submitting their own drawings. Wikipedia is a crowdsourcing app in that it outsources the task of creating an encyclopedia to a large distributed population. There’s been considerable debate about whether Wikipedia leverages crowd wisdom, but I’d argue that it doesn’t because – at least in Surowiecki’s conception of it – the wisdom of crowds is only applicable to quantifiable, objective data. And finally, the original raison d’etre of this blog. How does the concept of smart mobs interface with those of crowdsourcing and the wisdom of crowds? Broadly defined, smart mobs are instances of technology-enabled collectively intelligent behavior. They therefore imply more agency and intention on behalf of their participants than crowdsourcing would suggest, hinting that the two may be incompatible. Meanwhile, smart mobs that produce quantifiably and objectively accurate decisions could be said to exhibit the wisdom of crowds, hence the name for my previous Smart Mobs post about Piqqem, namely, Piqqem: a smart mob of investors?. This suggests that smart mobs may or may not exhibit the wisdom of crowds; wisecrowds are a type of smart mob because the former is hierarchically lower - ontologically speaking - than the latter. Still, I consider the relationship between the concept of smart mobs and those of crowdsourcing and the wisdom of crowds to remain somewhat of an open question. Dear wise crowd of Smart Mobs: what do you think? Une contribution supplémentaire sur la longue discussion qui accompagne l'émergence de ce nouveau terme et nouvelle tendance: crowdsourcing. Avec ici l'ajout d'un nouveau nouveau terme: "the wisdom of crowds"!